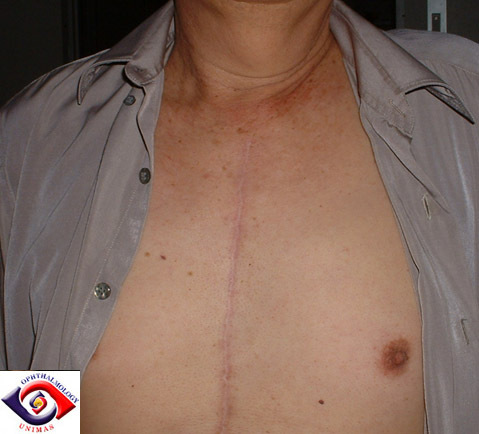 This 62-year-old man developed a left red eye with lacrimation the day after his coronary artery bypass graft. He was referred to the eye clinic where he was treated for infective conjunctivitis with topical chlormaphenicol. Despite treatment, his red eye and lacrimation persisted. Culture and sensitivity of the lacrimal swab was negative for bacteria and virus. 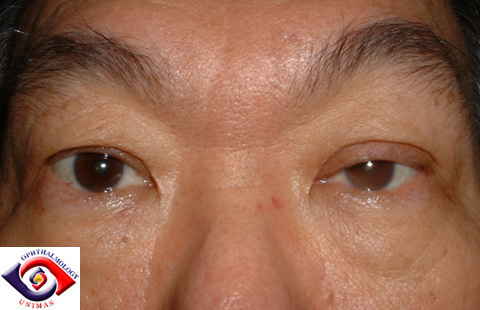 At the 3 months review, his red eye had improved but he still complained of lacrimation and problem in opening his eye. Syringing of the left punctum was patent. b. How can you confirm the diagnosis? c. How do you explain the initial presentation?